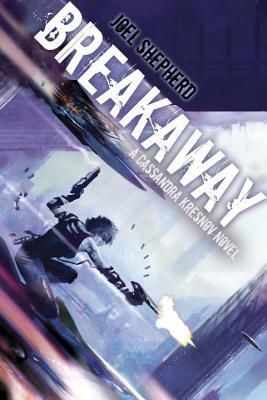 Cassandra Kresnov is a highly advanced hunter-killer android. She has escaped the League and fled to Callay, a member of the Federation. Because of her fighting skills she was able to save the president’s life and is now a trusted member of the security forces. However, not all Tanushans are happy to have her on their turf and Cassandra has to tread carefully. As Callay moves towards a vote on whether to break away from the Federation, confusion reigns and terrorist groups plot their own agendas. Cassandra becomes involved with two young troubleshooters for the secret service and finds out more than she ever wanted to know about the Tanushan underground and those on the fringes. Furthermore, there is a delegation from the League in Tanusha, and Cassandra is not sure that they won’t try to take her back. Breakaway is a great story with a cracking plot and strong characters. At its heart is the enigma of Cassandra: Is she more human than human, or is she totally untrustworthy?